Jeff Burr‘s Puppet Master 4 (1993) releases on Blu-ray this upcoming October 12, 2015. The bonus features for the Blu-ray disc is slim but includes a new director’s commentary. This installment features the pivotal point when the puppets fight for the powers of good to battle an ancient evil. 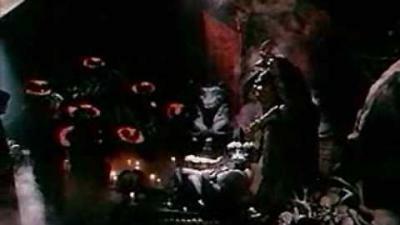 Gordon Currie, Chandra West, Ash Adams, Teresa Hill, Felton Perry, Stacie Randall, and Guy Rolfe star in Puppet Master 4. Official Synopsis: A young scientist working on an artificial intelligence project is the target of strange gremlin-like creatures, who are out to kill him and thus terminate his research. By coincidence, in one of the rooms he uses, there's a mysterious case containing the puppets of the "puppet master". When the puppets are brought to life, they help destroy the creatures.